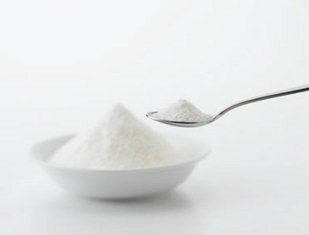 Collagen is a unique pure complete protein and the building material to renew cells in all areas of the body including: the hair, skin, nails, eyes, teeth, cartilage, bones, tendons, organs, arteries, blood vessels, hemoglobin, immune cells and the immune system. There are twenty eight different types of collagen that have been discovered .Not all have been researched and some are in private testing in the medical fields for stem cell research. Research does show us that if collagen types 1, II and III are available in the body at the same time, the body can reproduce all twenty eight types as the body needs it. However, if Collagen does not have enough Vitamin C available to this process, it will remain a pro-collagen. (A pro-collagen is a precursor to collagen, not collagen itself, and needs the correct environment for the body to convert it into collagen). Vegetarians often look to pro-collagen sources. Vitamin C is a vital nutrient required to increase collagen production, while also providing stability and structure to the collagen itself. Furthermore, amino acids must also be present to take this delicate material from a pro-collagen structure to the actual collagen material. Additional nutrients in large doses such as proline, glycine, lysine, copper and manganese are all required to produce strong collagen fibers and elastin. The common sources of gelatin at your local grocery store, touted as a collagen source, are really pro-collagen because it is lacking the additional components for the actual collagen material.